The second in the sky series is the Tropical Sky Quilt Pattern. 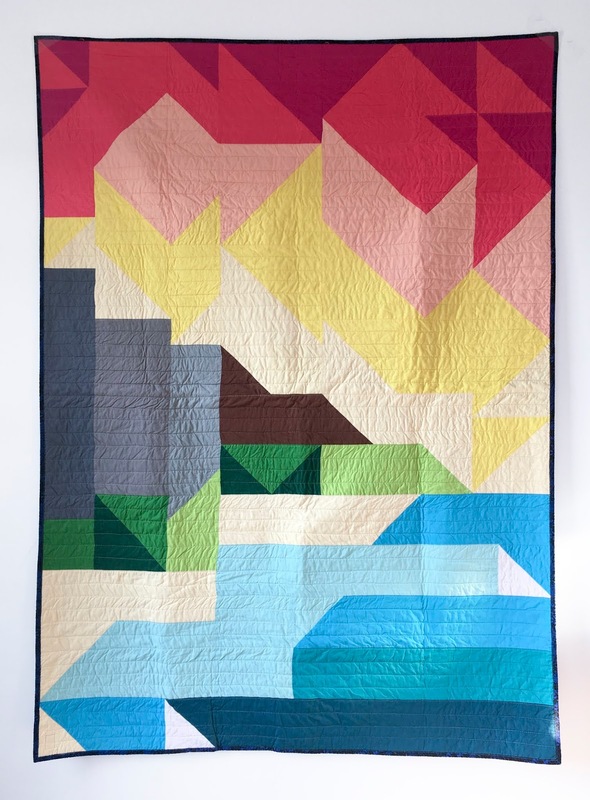 The pattern uses the same HST and square and rectangle blocks to form the sky and landscape as the Mountain Sky Quilt. The pattern is now available to purchase through my craftsy store. I made the three sizes (but forgot to get a pic of the baby size with the others before I gifted it). Here they are all below. For the baby sized version, I added a border to bring it up to throw size since I knew I would be gifting that one specifically. Here are some more versions made by my wonderful testers. Thank you to Heather, Jessica, Michele, Shannon and Joy for their versions. 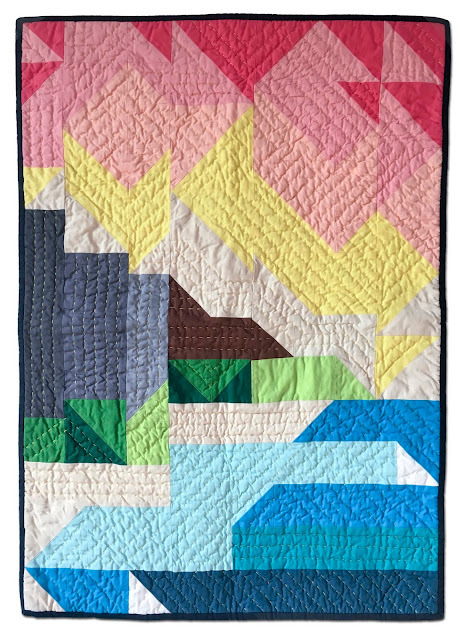 The Tropical Sky Quilt Pattern and Mountain Sky Quilt Pattern are both on sale right now. Get them here. Testing has begun for the third in the series and the fourth has been created. 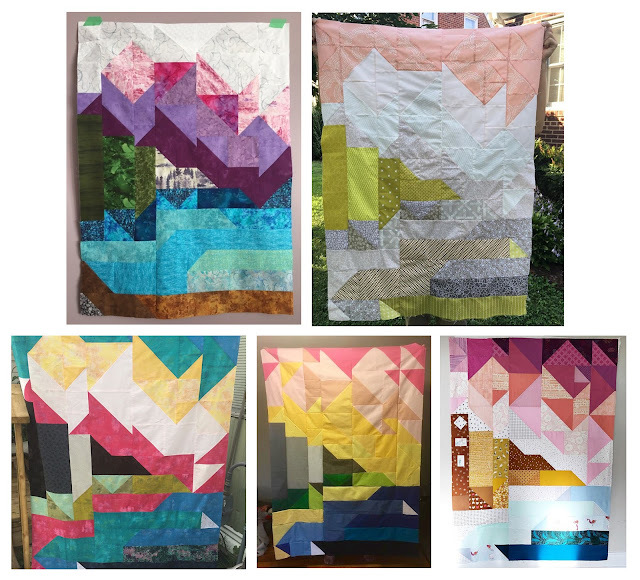 Stay tuned for some more sky quilts.